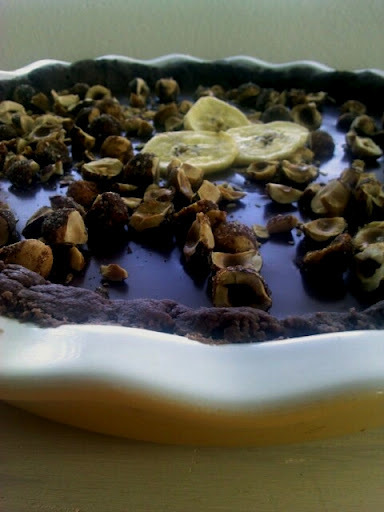 Have you ever been seduced by a piece of dessert? I’m sure the answer is “yes” for many of us. In case you are one of the unfortunate people who have not experience this seduction – here is your chance! 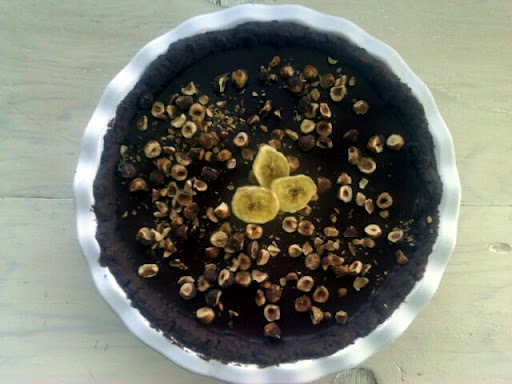 This Nutella Banana Chocolate Seduction Tart has a little bit of everything – chocolate, cookie crust, fruit, and nuts! 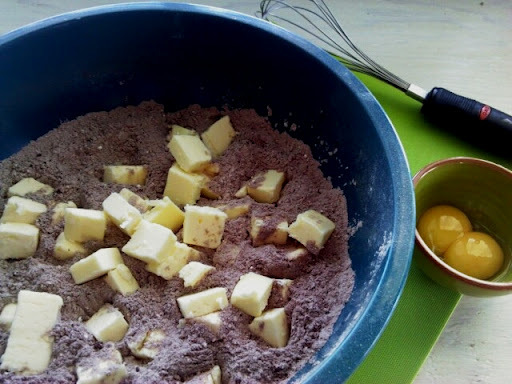 And lots of butter and sugar. Be still, my heart. Be sure your butter is super cold! The crust goes in! 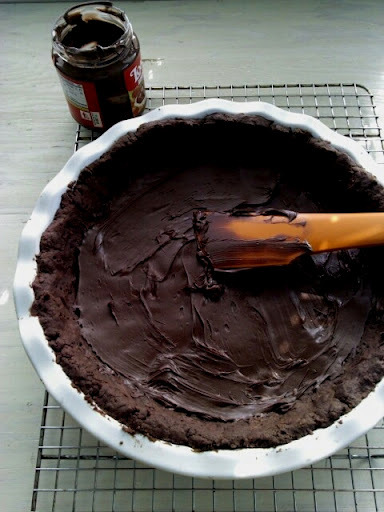 Poke the bottom of the crust with a fork so it stays nice and flat when baked. 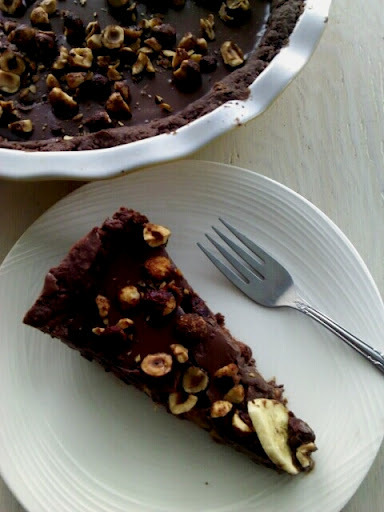 Spread chocolate hazelnut over the cooled crust. 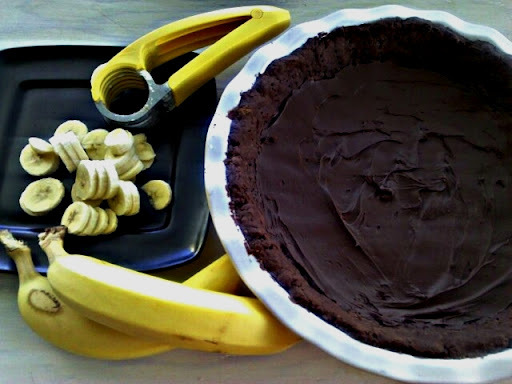 Arrange bananas in a layer over the chocolate hazelnut spread. 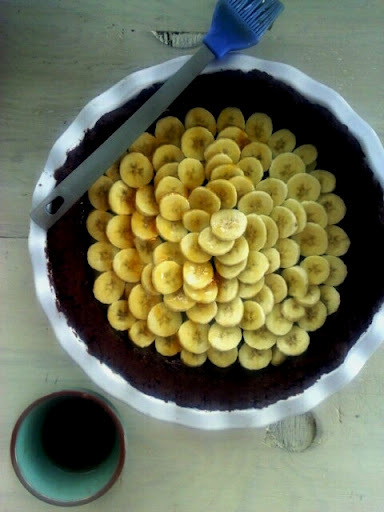 I took the time to arranged banana slices in a decorative way, but at the end they are covered with a layer of ganache, so you can’t see them anyway. You choose how you would like to arrange them. Once arranged, brush bananas with warmed apricot jam – extra flavor! 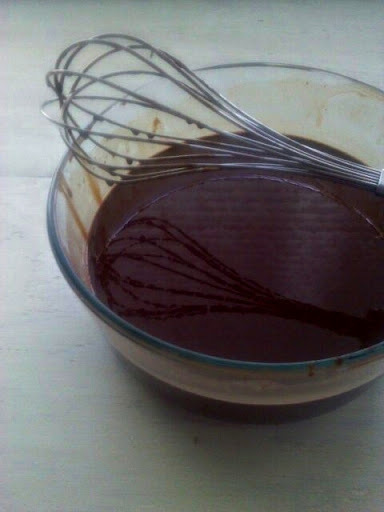 Making ganache – cream, butter, chocolate! 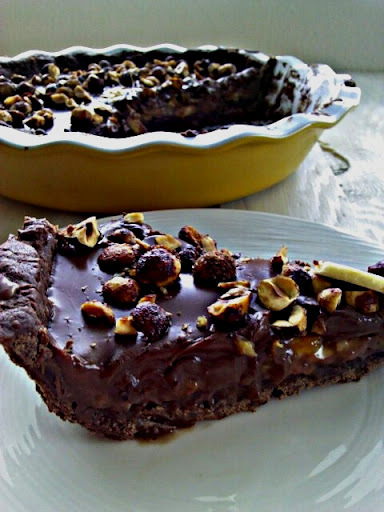 Chocolate goodness! 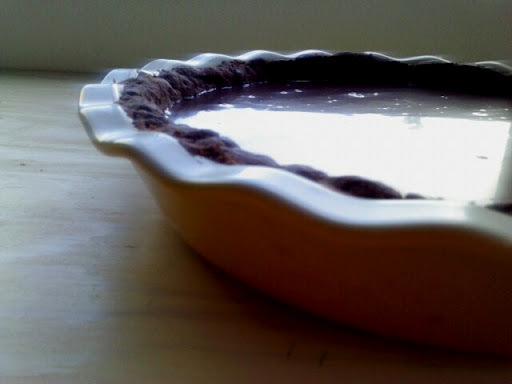 Pour ganache over the tart, eliminate the bubbles and chill the tart. 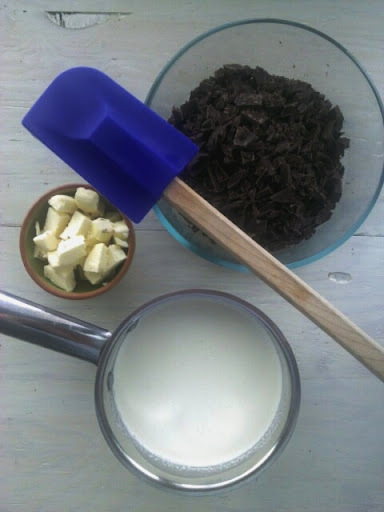 It’s also ridiculously delicious as a frozen dessert! 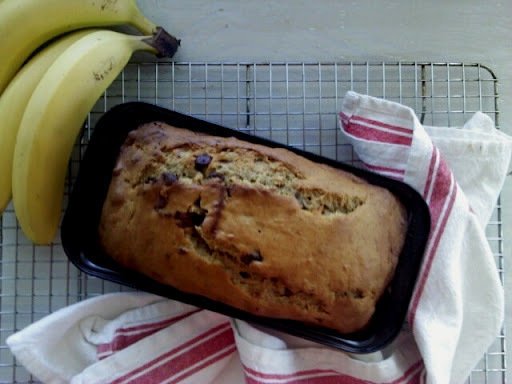 A banana-celebration party is nothing without a loaf of banana bread. 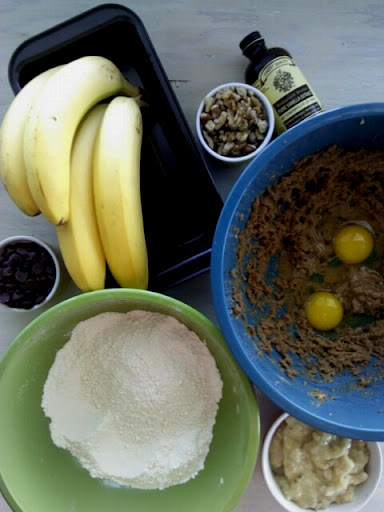 Think of the banana bread as the chief of the party, the big shot, the one welcoming all of the other newcomers to the table. 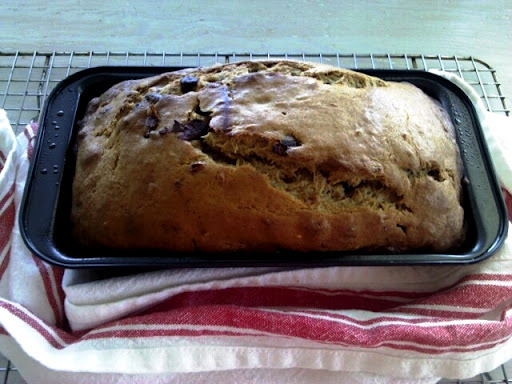 I like my banana bread with walnuts and chocolate, and so I altered Dole’s recipe for Classic Banana Bread, adding semisweet chocolate chips, substituting walnuts for almonds, and elimination ground cinnamon. I also increased the amount of sour cream for a more tender bread. I might take this one step further next time and add crushed banana chips to the top of the bread. 1. 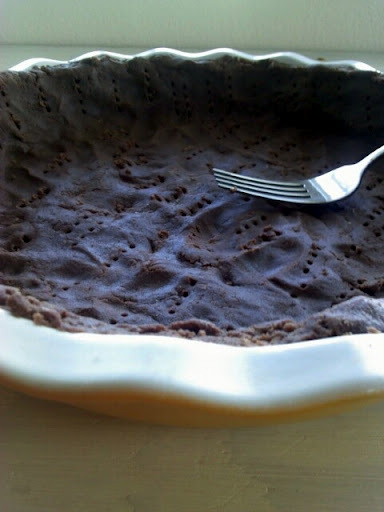 Preheat oven to 350 degrees and lightly grease a 9″x5″ loaf pan with nonstick cooking spray. 2. 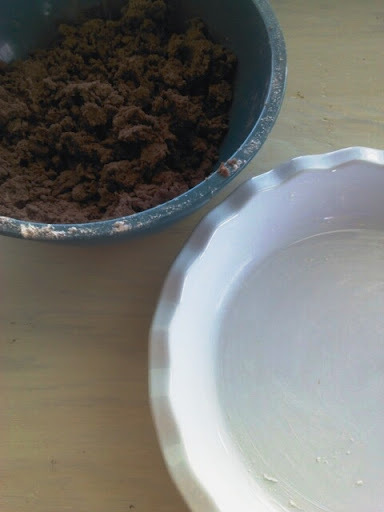 Combine flour, baking powder, baking soda, and salt in a bowl. 3. 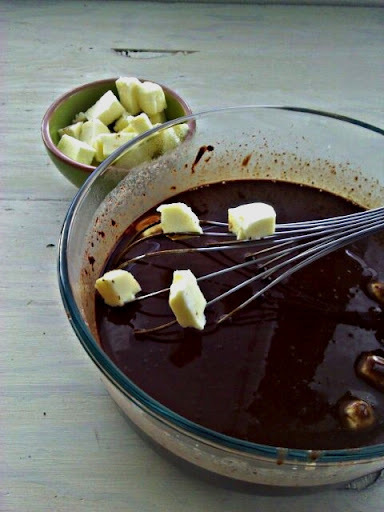 Beat butter and sugar with a handheld mixer, until the two are well incorporated, light and fluffy. 4. Beat in the eggs, one at a time. 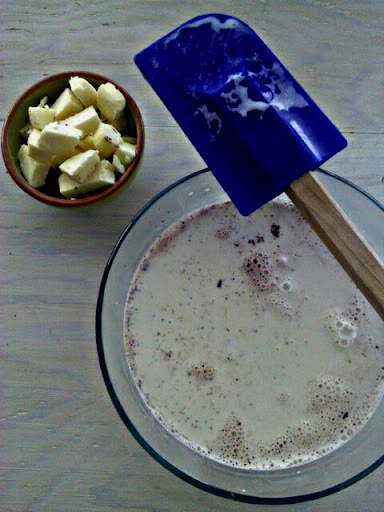 Add bananas, sour cream, and vanilla. Blend in just to incorporate. Do not overbeat. 6. 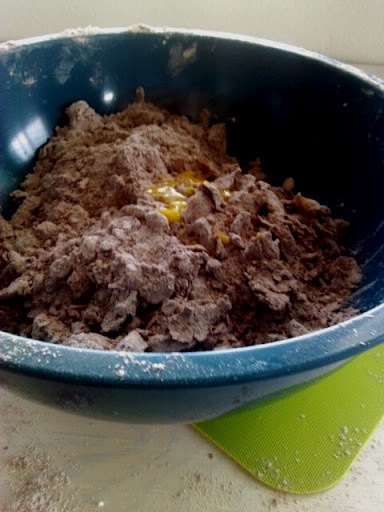 Transfer the batter into the prepared loaf pan. 7. 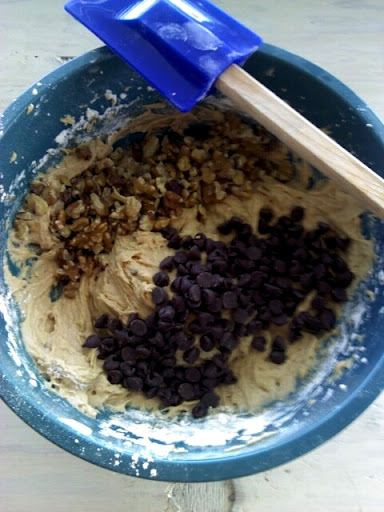 Bake in the preheated oven for 55-60 minutes, or until a wooden toothpick inserted in the center of the banana bread comes out clean. 8. 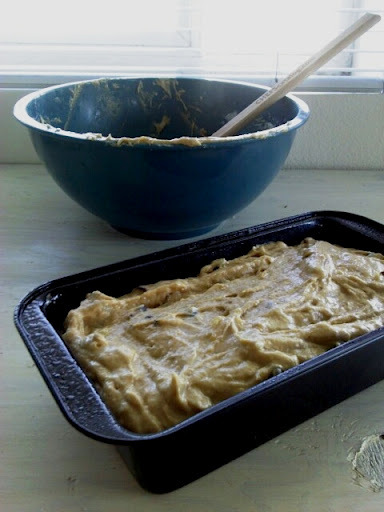 Cool the banana bread on a cooling rack, remove from the pan, slice and serve! There is a banana in my chicken salad! And it didn’t get there by mistake. Say what? 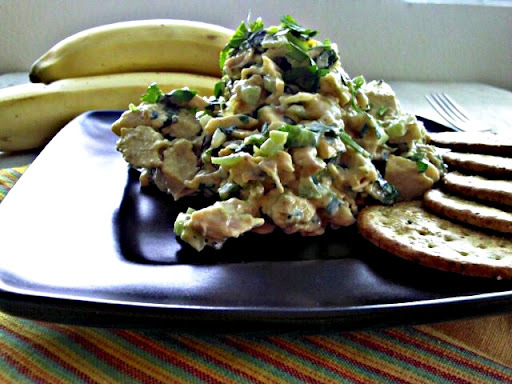 I was thinking of a way to incorporate bananas into a savory dish and was inspired by the recipe from Dole. 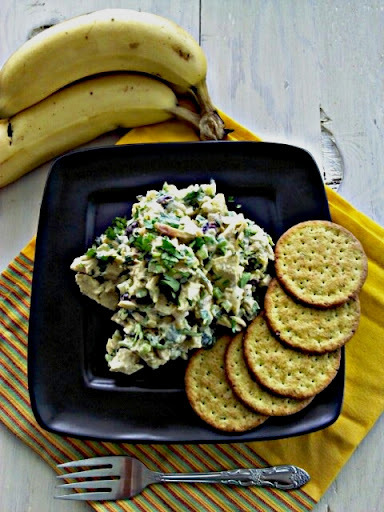 Taking the basic ingredients: chicken, curry, and of course, bananas, I created my own version of Chicken Curry Salad with Bananas and Almonds. To be truthful, I didn’t know what to expect, but I was thrilled with the results and happily ate leftovers the next day. 1. 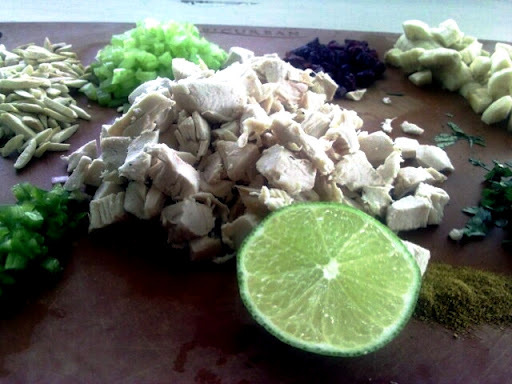 Combine chicken, celery, onion, cranberries and jalapeno in a mixing bowl. 2. Fold in banana, mayonnaise, lime juice and curry powder. Stir gently and season with salt and pepper. 3. Refrigerate the salad for at least an hour before serving. 4. 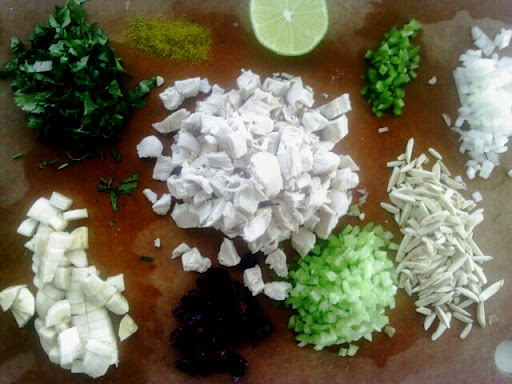 Fold in almonds and cilantro and serve! You just might be blown away! The bananas added a nice creaminess to the salad, allowing me to use less mayonnaise. For even a healthier version, I bet you could leave the mayonnaise altogether and not miss it a bit. Serve the salad with crackers or on a bed of mixed greens.